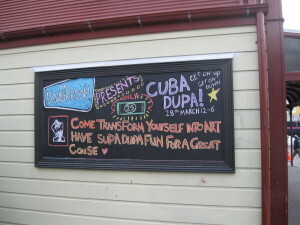 If Wellingon is the world’s coolest capital, then Cuba Street is the capital’s coolest street. During that time in the second half of the 20th century, when chunks of the city were being sacrificed to motorways, Cuba Street was ear-marked for a traffic by-pass. As it awaited the wrecking ball, businesses de-camped and any upkeep on buildings was more or less abandoned. This, as it transpired, was Cuba Streets salvation. Rents plummeted and along with those seeking low cost accommodation, came others seeking alternative lifestyles – hippies, artists, innovators, visionaries and creators. Buildings were rescued and businesses were reborn. 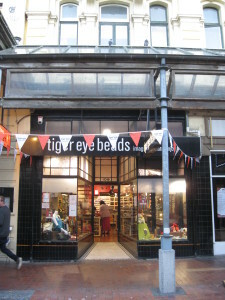 Second hand shops, bargain stores and galleries opened. Bars, cafes and restaurants set up alongside them. Colourful graffiti art colonised blank walls and alleys. Cuba Street was alive again. Cool and rather chic, in shabby kind of way, it was a distinctive part of the cityscape. 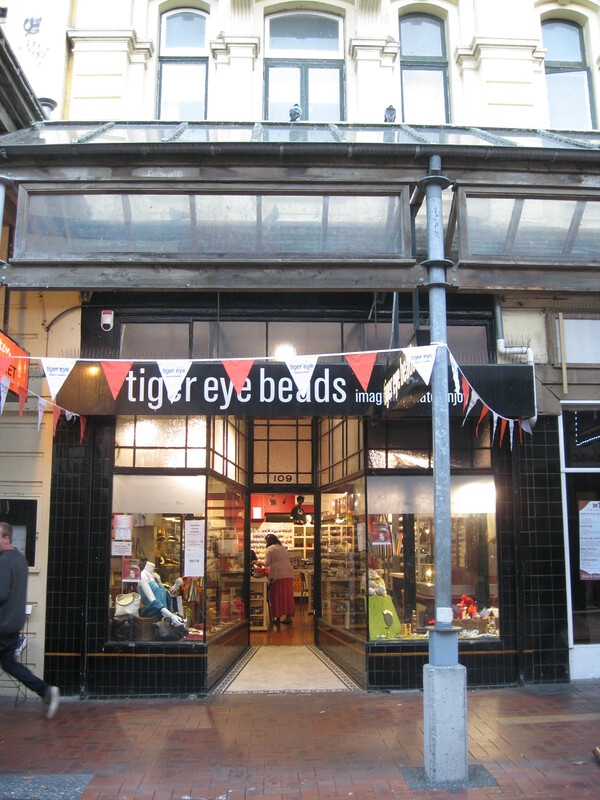 Cuba Street became Wellington’s Bohemian Precinct. The by-pass plan was dumped. In 1969, Cuba Mall was established. Buskers and street performers moved in, the famous Bucket Fountain was built and Cuba Street became a playground, a favourite meeting spot and one of Wellington’s most visited and vibrant quarters. Finally, in 1995, Cuba Street was preserved forever under the Historic Places Act, as a registered Historic Area. In essence, Cuba Street is still the same as it was when those hippies, artists, innovators and creators moved in, back in the sixties. Most of the buildings are as they were then – the narrow wooden houses, the shop-fronts with their recessed doors, ornate lead-light windows and tiles still remain. So does the grand old Salvation Army’s Peoples’ Palace, now a Quality Inn. Colourful street art weaves around them on walls and in alleys. Second hand and bargain stores survive and thrive, many with a 21st century vintage or retro twist. Bars, cafes and restaurants still abound, but among them now are award winners, like Matterhorn and the fine dining house, Logan Brown. Buskers and street performers still hold the floor in Cuba Mall, at any hour of the day or night and crowds gather to watch them, while the Bucket Fountain splashes away in the background. Cuba Mall is still a great place to hang out and one of the city’s most lively areas. And most importantly, that Bohemian spirit not only endures but flourishes. 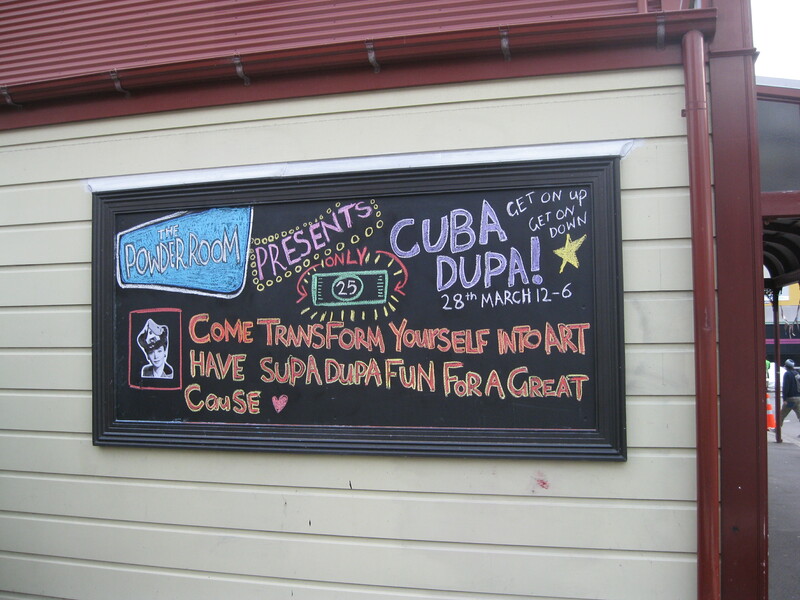 Cuba Dupa, the Cuba Street Festival, at the end of March – for a fantastic end of summer celebration and an awesome street party – food, bands, choirs, art, sculpture, performances, people and fun. Cuba Street Friday Night Market – for all of the above, but on a Friday evening and on a smaller scale. Midnight Espresso – for a midnight cofee and a vegan snack, also because it’s a Wellington icon. The Ferret Bookshop – to ferret out an old favourite, or a new discovery, among their amazing collection. Slow Boat Music – to browse their incredible merchandise, to bask in the glory reflected from illustrious international customers like Robert Plant and to maybe even catch an in-house performance? Wellington Sea market – for fresh fish, a staggering variety of seafood and mouth-watering displays. Cuba Street Fruit Mart, for its abundance, its colour and its fragrance.